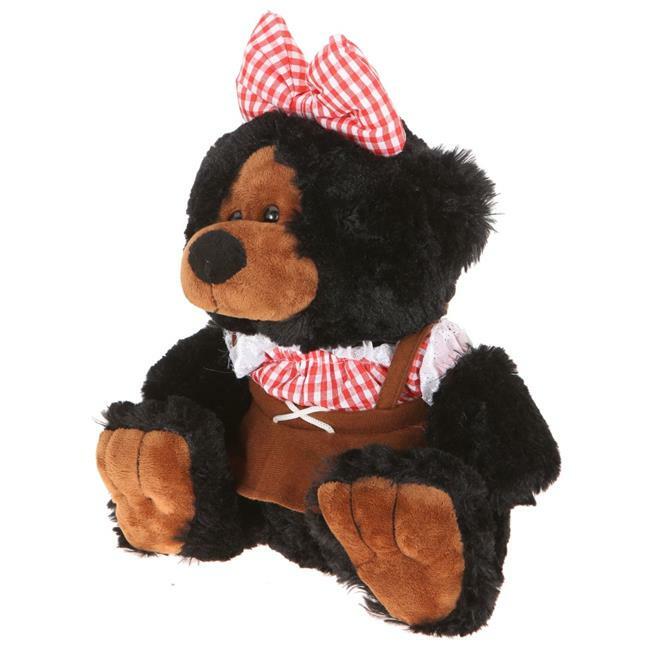 A part of the country series, this 10'' plush Hillbilly girl black bear is dressed to suit its theme. With a plaid bow and frilled dress, the amount of detail invested into this bear is incredible. It sits upright, gazing into the distance, a smile on its face.